As our home state, there’s always a big range of Bar Crusher boats to check out at the Melbourne Boat Show… and this year is no different! 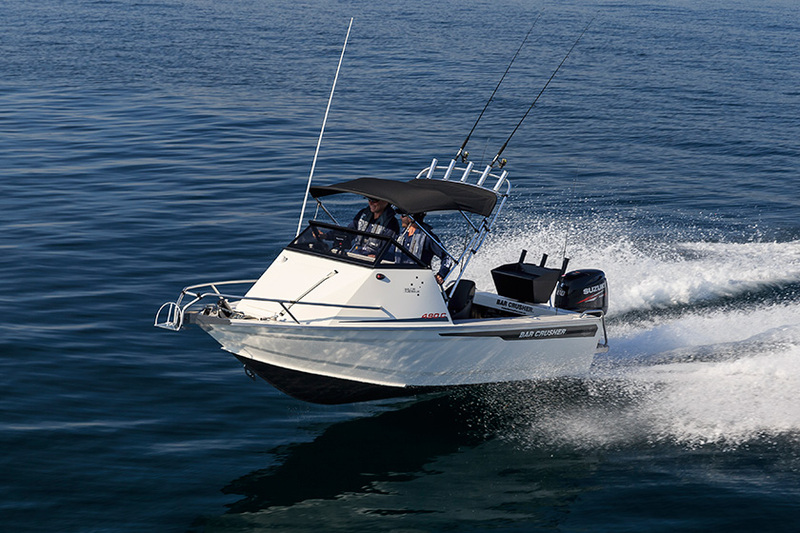 At the 2016 Melbourne Boat Show (17-20 June), we’ll have over a dozen of our Fishing Weapons on display – from the popular folding-roof cuddy cabin (C) series, centre console / walk-around (XS and WR) series, award-winning hard top (HT) series, right up to our hard top pilothouse (HTP) series. The 2016 model range features a number of new design innovations, including Bar Crusher’s exclusive Game Lock™ coaming (575 to 780 hull series), which allows you to lock yourself into a comfortable and secure position while fighting big fish. This new design also makes what was already a very spacious cockpit fishing area even bigger! New hard top designs and dash layouts, re-designed rocket launchers, extra heavy-duty bowsprits and bow/grab rails, and fresh paint schemes are just some of the new features to be found on various models across the range – advancements which have been carefully-considered to further improve your boating and fishing experience. 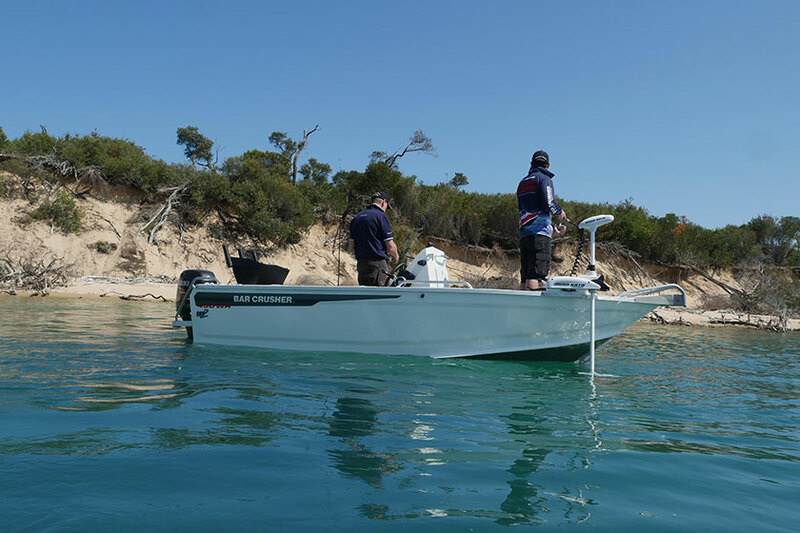 Designed and built in Australia for Australian conditions, all Bar Crusher boats incorporate exclusive innovations such as our Waveslicer® deep-V, non-pounding hull for an ultra-smooth ride, Rigideck® engineered sub-floor system for maximum hull strength, and Quickflow® water ballast technology for excellent stability at rest. All models from the 490 through to the 615 are also now built on Bar Crusher’s industry-leading Gen2® hull. This design combines key features including a wider negative chine running forward, optimised wider chine aft and the distinctive Delta Flare™ – a complex V-shaped planing plank that starts wider at the transom and narrows as it runs forward. The result is greater hydrodynamic lift for more efficient planing and improved fuel economy, a higher bow attitude and better spray deflection for a drier ride. 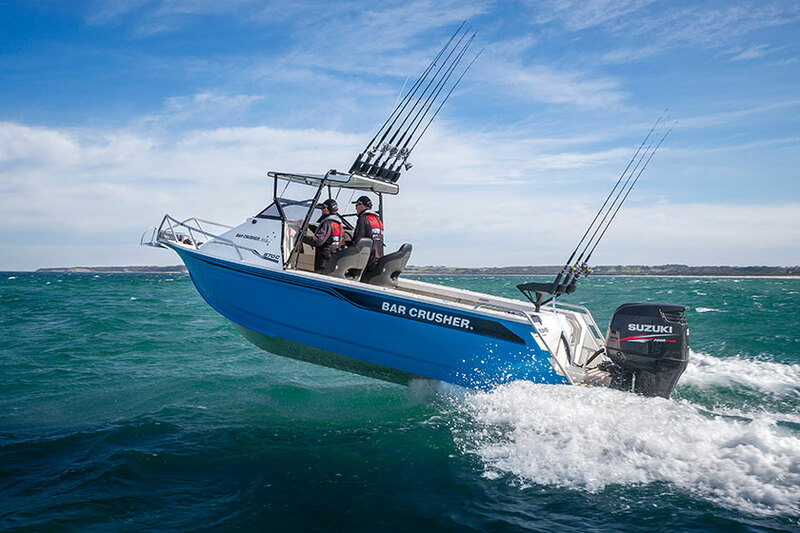 Bar Crusher boats on display at the 2016 Melbourne Boat Show include: 490C, 490WR, 535C, 535XS, 575C, 575HT, 615C, 615HT, 670C, 670HT, 730HT, 780HT and 780HTP. Whether you’re a first-time boat buyer or have owned 10 boats and you’re looking for your next one, drop by and say g’day to us at the show (located on stand C4) and pick-up a free copy of our boat buyer’s guide to assist with your research. Once again, we’re also offering a 25% discount on Melbourne Boat Show tickets. Simply visit www.melbourneboatshow.com.au, enter the promo code BARCRUSHER and select the tickets you want to buy.